This book of readings, meditations, rituals and workshop notes prepared on three continents helps us remember that environmental defence is nothing less than 'Self' defence. 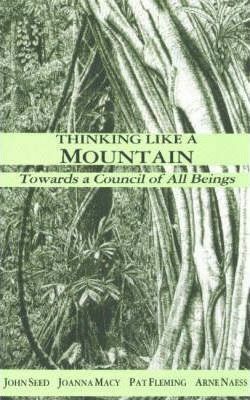 Including magnificent illustrations of Australia's rainforests, 'Thinking Like a Mountain' provides a context for ritual identification with the natural environment. It helps us experience our place in the web of life -- rather than at the apex of some human-centred pyramid. An important deep ecology educational tool for activist, school and religious groups, it can also be used for personal reflection.